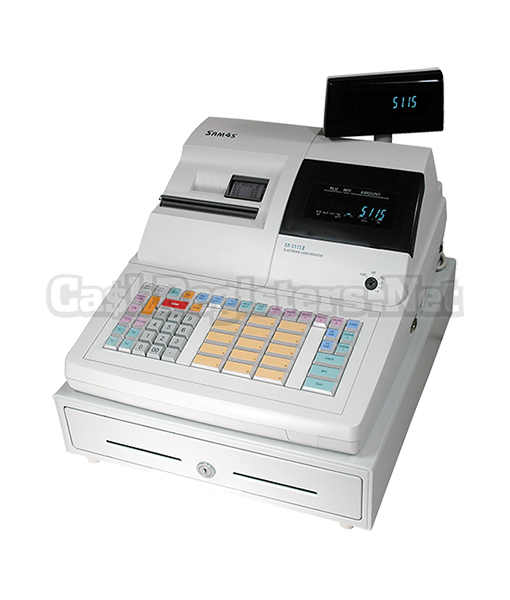 A compact low-cost electronic cash register to meet the basic needs of many small businesses. 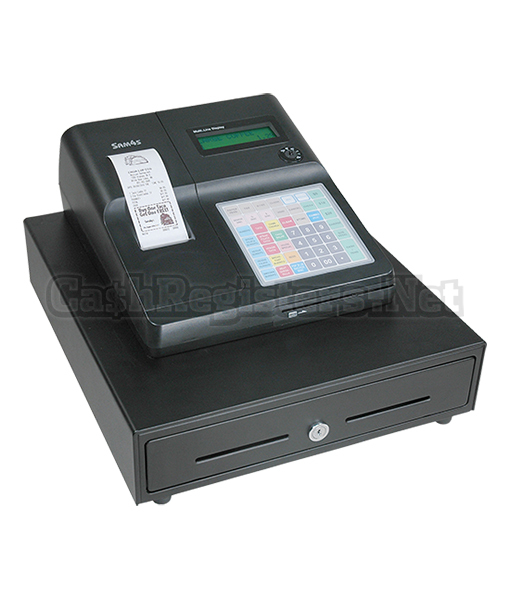 The SAM4s ER-265 Cash Register features an all metal cash drawer with two media slots and security drawer lock. 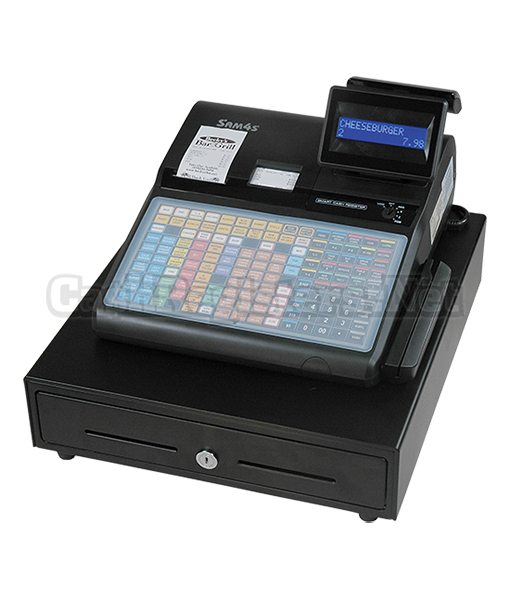 Enjoy high reliability and protection from spills where food and drinks are served. Use the easy-to-insert key sheet to customize your key labels. Initial set up is fast and changes are easy to manage. 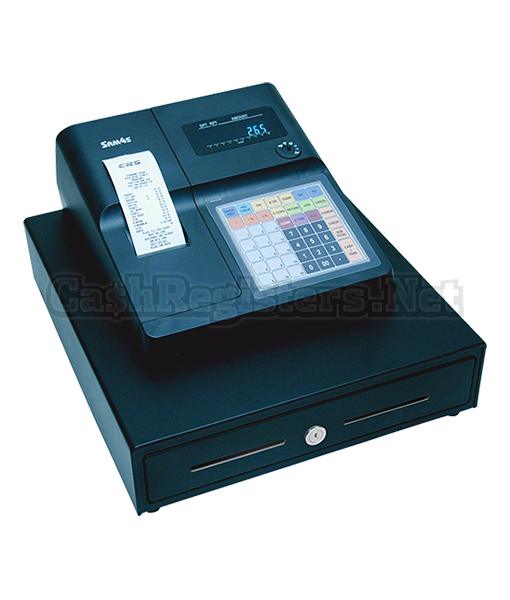 The SAM4s ER-265 Cash Register thermal printer is programmable to select receipt or journal printing up to 32 characters per line and accepts 58mm (2¼”) paper. Prints a 6-line preamble and 6-line postamble receipt message. Optionally print a user defined graphic logo, coupon or advertising message. 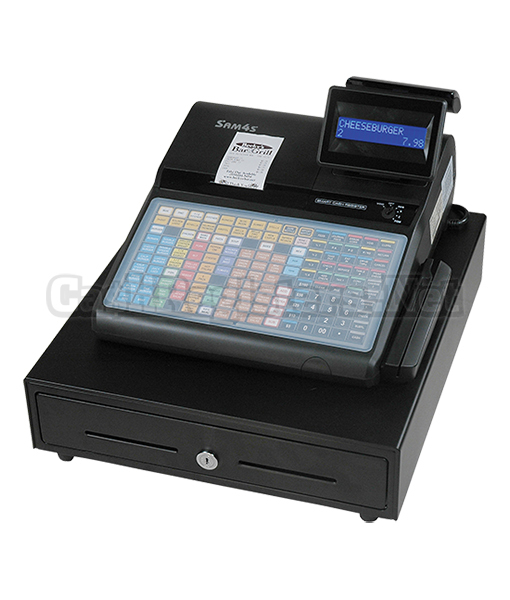 The SAM4s ER-265 Cash Register’s flat, spill-resistant keyboard features 15 programmable departments with 18 character alpha descriptors. Positive or negative preset departments are available to price and count fast moving items. 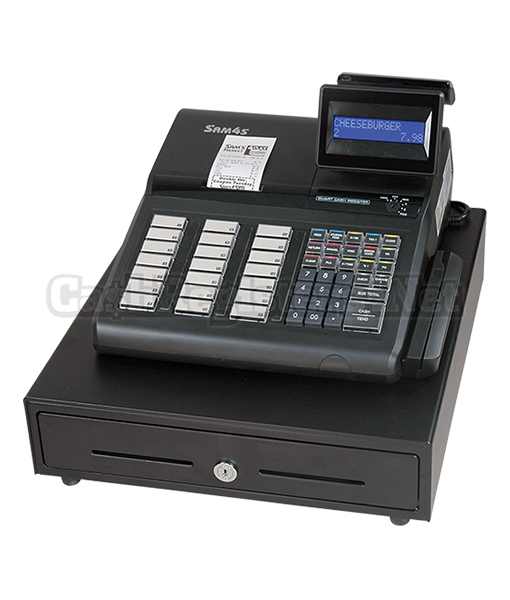 Departments may be designated single item departments for fast registration of single item sales. 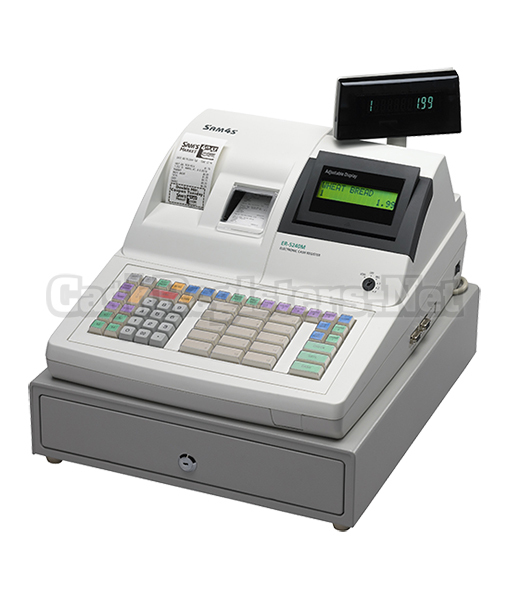 Use the SAM4s ER-265 Cash Register’s price look ups (PLUs) to automatically price and track sales for up to 1,000 items. The SAM4s ER-265 Cash Register manages up to three tax tables. Department and PLUs can be programmed to apply any combination of taxes. If necessary, tax status can be shifted as items are entered, or at the completion of the sale. The SAM4s ER-265 Cash Register’s real time clock automatically prints the time, changes the date and generates a sales by hour report detailing the net sales and customer count for each hour of the day. 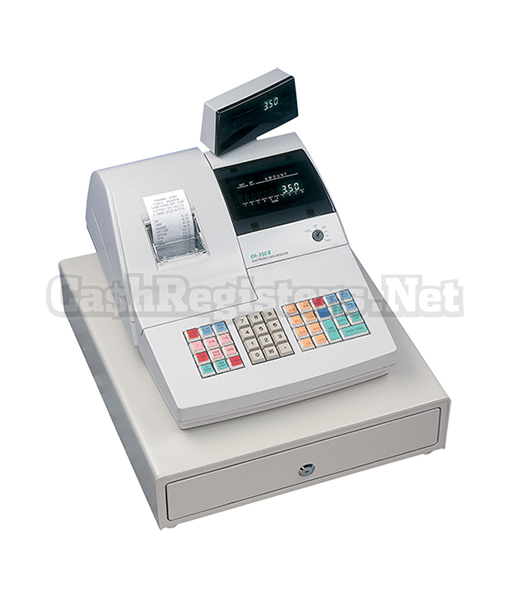 The SAM4s ER-265 Cash Register gives you an easy-to-read and understand review of your business with a complete analysis of your department sales, function totals and actual drawer totals. 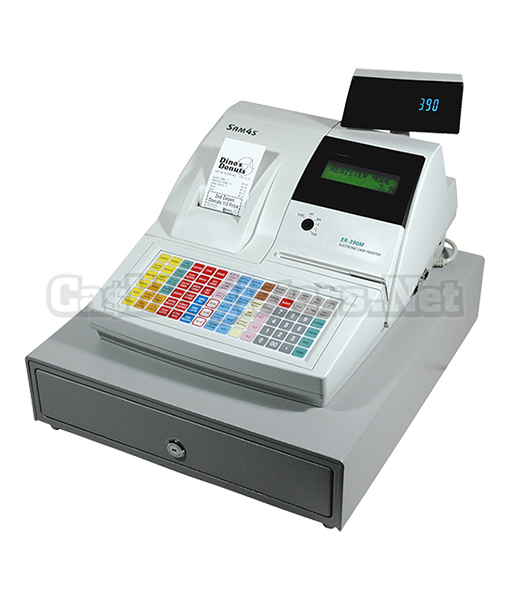 The SAM4s ER-265 Cash Register’s period-to-date financial report provides a summary of daily reports for weekly, monthly or yearly analysis. *All product features are subject to change without notice. All product and company names are trademarks, service marks or registered trademarks of their respective owners.